SOS Racisme Catalunya takes care of the people who experience racism and helps them to report those situations with campaigns aimed at generating awareness. Jose Peñín oversees the communications of SOS Racisme Catalunya, an organisation that reports racism in all forms and places with the purpose of eradicating it and making it invisible. The Catalan organisation was created in 1989 with the participation of citizens in the fight for equal rights and opportunities for all the people in our society. Nowadays, in addition to helping people who experienced racism, it generates awareness through campaigns and political advocacy to correct discriminatory practices from governments and authorities. In this interview, Penin explains the everyday of the organisation and brings us to the immediate present regarding racism and xenophobia. 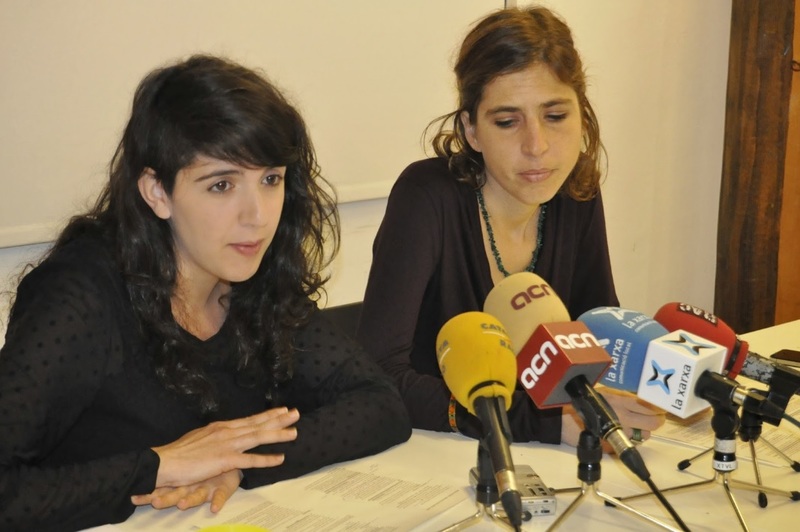 What are the activities promoted by the organisation to fight fight racism in Catalonia? We work on two lines of action: taking care of the people who experience racism and reporting these acts of discrimination as well as generating awareness to change society. Through the Attention and Report Service for victims of racism and xenophobia, we have helped over 8 thousand people in 25 years. It is also important to educate in schools and other organisations and groups and to develop campaigns with concrete actions in order to close the immigration detention, stop hate speech on social networks, etc. 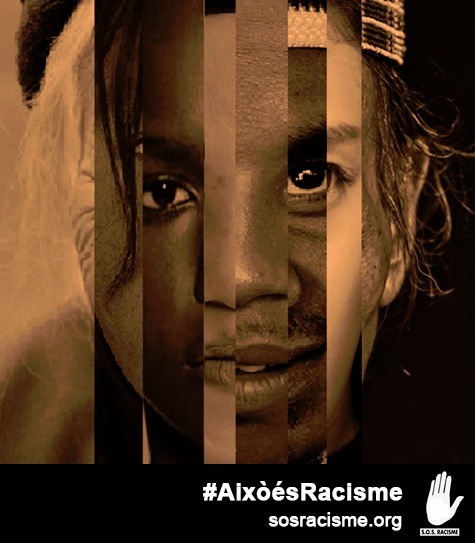 You recently launched the campaign #AixòésRacisme (#Thisisracism). Has it been successful? The campaign is a result of the work of a group of activists who saw the need to make the normalized racism, which goes unnoticed, more visible and to try to reach a wider audience outside out usual sphere of influence. The truth is that we are extremely satisfied with the result because it has had a profound impact and we reached several people. However, we continue to work by developing strategies to reach as many people as possible to achieve the next goal, which is to encourage people to report racism actively. In the report about the State of Racism in Catalonia 2017 you talked about the concept “normalization of racism”. To what were you referring? Racial discrimination occurs increasingly in the everyday life areas: insults or conflicts between neighbours or in the district; access denial to a pub or nightclub, excessive conditions to rent a flat; public health access’ fees, problems for girls with veils at schools, etc. In 2016, these situations accounted for 59% of all the reports received. They are not socially recognized as discrimination. The public does not give importance to them, but they tend to have a substantial impact on the lives of people. The lack of recognition along with the lack of support from the authorities make some people regard these situations as “normal” and do not report them or think they are not worth reporting at all. What policies should the institutions promote to fight the diverse types of racism? We need a more proactive activity to eradicate racist attitudes, such as education, values, the explicit support of the organisations and the people who experienced racism, and the condemnation of racist attitudes and speeches, especially in the case of politicians and political parties. Moreover, we must be able to provide more space and effective tools for people to report abuse. We must end the unjustified idea of “not worth reporting at all”. Additionally, the institutions ought to eliminate discriminatory laws and policies. Regardless of the level, everyone has the authority to act on them – from the National Immigration Laws to the Local Life Standards. A few days ago, they found 127 positive results for tuberculosis in the Immigration Detention Center (IDC) of Barcelona. What conditions from SOS Racism have you seen in those centres? No adequate healthcare... A blatant sample was the cause of death of two people in 2012 due to poor healthcare: Samba Martine IDC in Madrid and Idrissa Diallo IDC in Barcelona. Ever since, we have known that the conditions have changed, despite the protests of organisations and social movements, and the recommendations of the Ombudsman. You also campaigned to close them. The IDC for foreigners represents a human rights violation as the reason is to take people’s freedom due to administrative flaws, not for breaking the law. This imprisonment of people who have not committed crimes is an exception to our rules of law that only takes place for immigrants. This is not accidental. The facts are that all these years they have shown that they are centres in which rights violations and assaults take place. Due to the darkness surrounding them, it is almost impossible to act in defence of the victims. Until recently, they were unknown to the public, but the detention centres have existed in Barcelona for over 20 years. This is a clear example of how this reality has been kept hidden from the public on purpose. Racist attitudes have a greater social presence than we are aware? We think so. People usually say that we are not a racist society, but the statements of the people affected by this prove the complete opposite. The rise in populist and xenophobic speeches, not only here but throughout Europe, instigates discriminatory attitudes. Perhaps the most affected individuals are the ones with Muslim or Arabic appearance – although sometimes not with insults or discriminatory attitudes – given the growth of Islamophobia promoted by fear-mongering across Europe. What does SOS Racism hope for the short run in terms of its mission, vision, and values? We hope to disappear; not to have an Attention Service for people because there will not be right violations due to racism. We will have to fight and eradicate racist speeches and discriminatory policies. In the short run, though, we hope for society to be more aware of equal rights for everyone, and that racism is an issue that affects all of us, not just the victims. Thus, if we witness discrimination or a racist attitude, we must support the victim, confront the aggressor, and report what happened.